Succeeding in a challenging and historic fixed sound installation, TSI-Global installed a battery of Crown CTs amplifiers and BSS Audio Soundweb London processors as well as advanced audio networking via Harman’s HiQnet™ configuration and control protocol for the new Citi Field in Queens, NY. 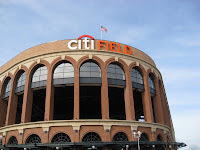 Home to the New York Mets of Major League Baseball, Citi Field officially opened on April 14, 2009 to a capacity crowd of 42,000 spectators. TSI-Global deployed 160 CTs 3000 amplifiers, along with 61 CTs 1200 and 19 CTs 2000 amps with PIP-Lite Modules to power all main bowl speakers, club areas, suites, concession stands, bathrooms and entrances. “CTs amplifiers were recommended by the design consultant WJHW. For a large fixed installation such as this one, they gave us great flexibility for the various areas in the stadium,” stated Paul Murdick, vice president at TSI-Global. All CTs series amplifiers offer integration with HiQnet System Architect and CobraNet™. “With Harman components, the ability to control and configure your audio system with HiQnet is a major advantage. When you are dealing with a project of this size, the ability to have your amplifiers perform efficiently while networked is invaluable,” added Murdick. BSS Audio Soundweb London processors were also deployed in the Citi Field installation. Twenty BLU-120, 14 BLU-160, 10 BLU-80, and eight BLU-800 devices handled control of all stadium audio. “When you look at sound systems at stadiums across the country you’ll find BSS Audio is a name that will continue to appear. With the Soundweb London products you get great quality and value. Plus they are incredibility easy to program and that is essential in a large venue,” stated Murdick. Soundweb London devices also offer configurable I/O, CobraNet audio, and fully configurable signal processing. For more information on TSI-Global visit their website at www.tsi-global.com . Demonstrating the growing worldwide adoption of JBL VERTEC® line arrays for major entertainment-industry events, SLS Production of Dubai recently provided concert sound reinforcement services for Dubai Desert Rock Festival 2009, the 10th year for the concert series. As in years past, to meet the tour-rider specifications of international-class performing artists, the system at the Festival featured an extensive range of JBL VERTEC line array models. Dubai Desert Rock Festival 2009 took place at the Dubai Festival City on March 6, with this year’s show placing an emphasis on heavy metal acts. Performers included Motorhead, Nervecell, Arch Enemy, Opeth, Chimaira and August Burns Red. Additional performers included Hatred from Germany and Scarab from Egypt, both of whom won entry by winning the “United We Rock” and “United We Rock/Middle East Edition,” respectively. This year’s event drew a crowd of more than 7,000 fans. The main PA system featured left-right line array hangs, with each side including 12 JBL VT4889 full-size line array elements, three VT4887A compact line array elements and six VT4880 full-size arrayable subwoofers. 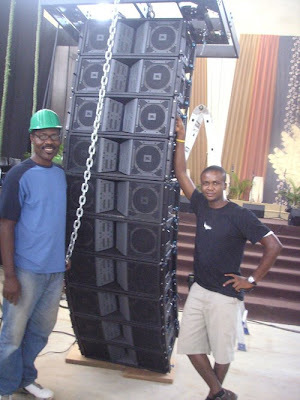 For additional low-end support, SLS deployed two ground stacks in front of the stage, each containing 12 VT4880A ultra-long excursion, dual 18-inch arrayable subwoofers. Two arrays of two VT4888 midsize line array elements provided in-fill coverage, with eight VT4888 loudspeakers providing out-fill coverage. Additional arrays of VT4887 loudspeakers were used for side fills. Crown Macro-Tech amplifiers powered the system. World-famous Darling Harbour in Sydney, Australia recently underwent an upgrade to its public address system, courtesy of Australia-based systems integration firm Rutledge Engineering. The new PA system is nothing less than state-of-the-art, featuring more the 300 outdoor speakers from JBL, distributed over 32 zones and controlled by a screen-selectable system. 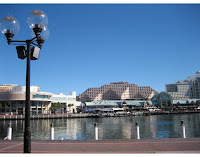 Darling Harbour, owned by Sydney Harbour Foreshore Authority, is one of the favorite destinations in Sydney for dining, nightlife and entertainment, offering more than 40 restaurants, 30 bars, the Sydney Aquarium and numerous theaters and museums. While the Harbour offers a pleasant atmosphere for visitors, the salty air is much less forgiving towards audio equipment, where corrosion can compromise signal integrity and system reliability. As such, a conversion from an aging analog system to a modern digital PA system was in order. Rutledge Engineering designed and installed a comprehensive system drawing from several Harman brands, including JBL Control® Contractor loudspeakers, Crown CTs amplifiers, BSS processing and HiQnet™ networking and control. In total, 152 JBL Control 28T-60 and 140 Control 25T surface-mount speakers were installed, each of which is fitted with a stainless steel Weathermax grille for protection from the elements. The system was sold through Jands, JBL’s Australian distributor. Rutledge Engineering opted for a BSS Soundweb London system for all distribution duties. For amplification and monitoring of the system, Rutledge installed a Crown Audio IQ system, which includes CTs amplifiers fitted with USP3-CN-PIP cards, which fed CobraNet digital audio signals directly into the amplifiers, ensuring there was no signal degradation in the distribution system. In order to develop next generation educational programs, Lewis-Palmer School District, in Monument, Colorado, selected Hitachi Software StarBoard interactive whiteboards. Purchased through Troxell Communications, the district utilizes twenty-four of the FXDUO-77 model StarBoards at the elementary and high school levels. “Students have a hard time believing certain properties in Geometry because they cannot visualize what is happening. They tend to get stuck on certain types of pictures and struggle to transfer certain concepts when diagrams change. The StarBoard allows a teacher to make these illustrations come to life. It is great to have the ability to build and manipulate shapes in front of the students, instead of being tied to my desk and computer,” stated Marc Johnson, Math teacher in the Lewis-Palmer School District. 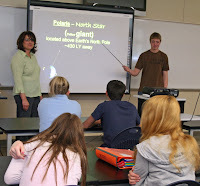 Tracey Lehman, Director of Educational Technology in the district, also feels the Hitachi StarBoards have become a major asset for the students in their visual learning. For more information on Troxell Communications visit www.troxell.com. Darling Harbour is one of the favorite destinations in Sydney for dining, nightlife and entertainment, offering more than 40 restaurants, 30 bars, the Sydney Aquarium and numerous theaters and museums. While the Harbour offers a pleasant atmosphere for visitors, the salty air is much less forgiving towards audio equipment, where corrosion can compromise signal integrity and system reliability. As such, a conversion from an aging analog system to a modern digital PA system was in order. Following last month’s launch of the compact Soundcraft Si2, sister to the acclaimed Soundcraft Si3 last month, Soundcraft has announced a new software revision to include Graphic equalizers on the desk and the availability of an offline editor, Virtual Si, for the platform. When switched to Graphic EQ mode, the Soundcraft FaderGlow™ system lights the first 15 faders on the desk in red to indicate EQ mode, and the OLED display above each channel shows both the ISO frequency of the filter and the gain or cut. A really nice feature is the pseudo centre-detent provided in the motorized fader at the 0db point. Simple scrolling allows the faders to control all 30 bands in three sections of the low, mid and higher frequencies. The Si Series now has a full complement of gates, compressors, graphic EQs and Lexicon effects engines inside the single box analogue-replacement solution. Completing the new software functionality is the ability to integrate with a Harman HiQnet system and send Venue Recall messages to equipment in the network. 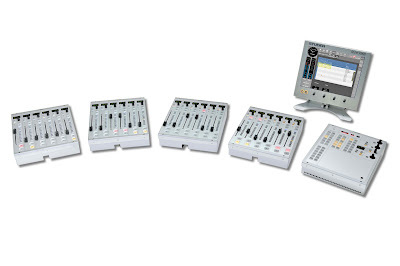 Existing Soundcraft Si2 and Si3 owners can upgrade software via the website, www.soundcraft.com. Channel direct outputs on the Si Series will shortly be provided through an optional MADI interface card, which fits into one of the option slots on the rear of the Si Series chassis. The card, based on the Studer D21m I/O system card and a version of which is also used on the Vi Series, provides up to 64 direct outputs from the channel down a MADI stream, which can be fed to a MADI-based audio multitrack recorder to record live shows, or even used as a stage splitter to feed the inputs to another console which has a MADI interface to its inputs. The card is expected to ship by the end of April. The new Virtual Si software allows an engineer to completely setup a show, with channel labels, aux/group assignments, EQ settings and cues etc, offline on a PC or laptop, save the show to a USB memory stick and load it directly into the console, saving valuable set-up time at a gig. The software GUI is an exact replica of the desk, so can be used also as a learning or tutorial aid. One of the benefits of the STUDER RELINK system in comparison to others is that it is based totally on Studer’s existing SCore system which is an integral part of a Studer console architecture, so no additional hardware or breakout boxes are required to complete the network. Any combination of Studer Vista (5, 6, 7, 8), the OnAir 2500 and 3000 consoles, as well as Route 6000 can link with each other via RELINK, communicating over TCP/IP. Other console-based networking systems on the market are often restricted to a single type of console. Studer’s D21m I/O system forms the heart of all the input/output connections, and network audio is not restricted to a single transport type - audio interconnects may be made through conventional MADI, AES, ADAT, regular copper analogue lines or even HDLink. Each D21m frame can be configured to accept up to 384 inputs and 384 outputs, with numerous options for audio interface types including analog, AES, SDI, Dolby E and MADI, all available in cost-effective modules which maximize channel usage and hardware capacity. These inputs and outputs can be shared with any or all of the mixing consoles. Source selection is transparent, and signal labels are automatically transferred to the consuming locations, so the operator always knows which source is connected. Signal takeover between studios is seamless, so RELINK is well-suited for live transmission switchover. A resilient mic take-over mechanism ensures that mic control parameters such as analogue gain, phantom power, etc. are not changed unintentionally but require a conscious confirmation of remote take-over. With OnAir consoles, local monitoring at the point of use is turned off automatically to prevent feedback, indicated with red light signaling and automatically following the source wherever it is used. For further information on Studer RELINK and the Studer Vista and OnAir consoles, visit www.studer.ch or contact your local Studer Distributor. More option interface cards for the Soundcraft Vi Series Digital Live Sound consoles have been released, expanding the applications of the highly popular digital mixer into Broadcast, and adding easy capabilities for direct recording from the desk. Using the ADAT card, it is possible to connect 2 ports of 8 channels (inputs and outputs) to an ADAT-equipped hard disk or software-based recorder, so 2 cards would enable 32 channels of audio to be recorded and played back almost instantaneously. The SDI and Dolby® E cards will be welcomed by broadcasters, as it means the desk can handle the de-embedding of audio channels from within SDI video streams (and re-embedding for onward transmission), and the decoding of up to 8 channels of audio from a Dolby Digital or Dolby E stream. All individual audio channels are then available within the Vi Series’ digital patchbay for mixing. The Dolby E card holds 2 complete decoder sections and saves both space and weight in critical applications such as OB vehicles. Nashville based television production company, Camp Digital, has included as the centerpiece of its audio capabilities a Soundcraft Vi4 digital console into its new JOURNEY HD mobile production truck. Providing state-of-the-art High Definition production around North America, JOURNEY HD has recently provided video and audio support for a wide range of productions, including the television special ‘Feel That Fire’ for Great American Country starring Dierks Bentley, the 35th anniversary DVD of the band Kansas and a DVD featuring Christian comedian Chonda Pierce. JOURNEY HD is the first in a fleet of vehicles operated by Camp Digital, who is developing mobile production solutions to fit an ever-growing production market in need of high quality production resources at an affordable price. Tom Davis is one of the production mixers for JOURNEY HD as well as a consultant for the design of the audio side of the truck and he discusses the advantages of mixing on a Soundcraft Vi4 console. “The sound quality of the Vi4 is outstanding and the routing capabilities are extensive and straightforward. The Vistonics™ II interface is highly functional and extremely easy to use and the entire desk can be controlled at my fingertips without the hassle of digging through several menus,” Davis concludes. Camp Digital is a partnership formed nearly two years ago by a group of Nashville video production professionals with the mission to create for themselves and others a sensible solution to the acquisition and production of music and entertainment events for television, home video, and non traditional media through the internet and other handheld/wireless devices. Camp Digital has nearly 100 years combined experience in the field of television and video production, and already has an additional vehicle, Passage HD, which will soon become part of their fleet. Initially announced at last year’s Pro Light & Sound, the partnership between Soundcraft, Studer and Optocore is bearing rich fruit as the companies develop further features for the interface between Soundcraft and Studer consoles and the Optocore fiber network. Last year, Optocore and Soundcraft Studer co-developed the DD2FE network MADI interface that allowed Studer Vista and Soundcraft Vi Series consoles to transmit up to 128 input and 128 output channels of audio over an Optocore network. The teams have now announced that using the Optocore DD2FE, Soundcraft Vi Series consoles and Studer Vista consoles are now able to remotely control the microphone preamplifiers in the Optocore LX4AP stagebox, which features 48 mic inputs. This has been enabled through Optocore’s integration of the Studer D21m I/O system control protocol into their topology. Vi Series and Vista consoles can already remotely control the preamps in their own stageboxes over the network, allowing multiple consoles and stageboxes to be interconnected with full redundancy. The ability to remotely control stagebox gains over the Optocore fiber network is a major advantage for users, giving that extra degree of flexibility and gain control over the relevant parts of an installed system, particularly in Theatres. Czech Television’s HD OB Van was in operation during the entire FIS Nordic World Ski Championships in Liberec, Czech Republic, between February 18th and March 1st, to the great satisfaction of the sound engineers. The only threat to the event was the possibility of no snow, which would have been a nightmare for the organizing committee, but finally 120 cm of snowfall over the period of the event meant that all the connecting cables from the truck to the remote stageboxes almost became a fixed installation until the early summer! Higher temperatures and a thaw over the last 2 days finally allowed the crew of the HD Van to leave Liberec. "Over 50 hours of live broadcast was made on the Vista 8, an integral part of Czech Television’s first HD OB Van. All the standard features of this digital system, in particular the user-friendly intuitive operation, very good sound quality and overall system robustness passed the demanding test of this sports event under severe weather conditions.” The events were watched by nearly 200,000 spectators over the 2 week period. “This comprehensive live application confirmed that the Studer Vista is able to meet our demanding expectations," reported Mr. Milan Gazdik, Senior Engineer of Audioengineering, Czech TV Prague and a member of the EBU Production Management Committee. AKG announced the release of the redesigned C 3000 condenser microphone, suitable for every recording or live application. The cost-effective and aesthetically pleasing C 3000 microphone from AKG has been proven as a trusty and reliable workhorse for more that 15 years. The new C 3000 maintains the popular characteristics of the C 3000, however a new sleek and classy finish showcases AKG’s new Corporate Design. 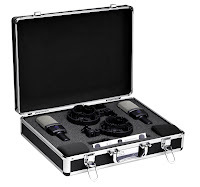 It is a great selection for both recording and live sound applications, where maximum sound quality and robustness are a must, and the competitive price makes the C 3000 a must-have. Bringing new life to the classic C 747 microphone, AKG has redesigned the “pencil microphone” to better cope with specific installed sound issues, AKG announced. The updated C 747 V11 brings a new form of premium microphone quality to conference applications and maintains its predecessor’s reputation as one of the most versatile microphones in the AKG product range. At this year’s Prolight + Sound Exhibition in Frankfurt, Germany, JBL once again earned a MIPA (International Music Press Award), this time for the new EON500 portable PA loudspeaker series in the category of Portable Sound. More than 100 magazines voted in over 40 categories products at the 10th Annual MIPA ceremony, which took place on April 2. This marks the fifth straight year that JBL has won the MIPA in the Portable Sound category and JBL’s ninth MIPA nomination overall. Since the initial introduction of the EON series in 1995, JBL has sold nearly one million speakers, resetting the standards for portability and performance along the way. The EON500 series continues to raise these standards with even greater versatility, performance and value. Harman Professional Chief Executive Officer, Blake Augsburger, has been named a recipient of Texas Tech University’s Edward E. Whitacre Jr. College of Engineering Distinguished Engineer Award. The prestigious Award is a recognition of University alum who have excelled in their profession, have provided inspiration to their peers and have demonstrated a continuing interest in areas outside of engineering. Blake Augsburger joins Chi-Ming Chang, James A. Edmiston, Shelby Johnson and J. G. Soules as 2009 Distinguished Engineer Award recipients for outstanding contributions to the engineering field. Lexicon®, a Harman International Company (NYSE-HAR), today introduced its PCM96 Surround Reverb/Effects Processor. The Surround version delivers 50 new and legendary Lexicon reverbs, delays and modulation effects, while at the same time offering more presets, configuration options and additional inputs and outputs. Designed for the modern studio, the PCM96 Surround can function as a control-only insert or FireWire streaming audio plug-in inside any Mac VST® or Audio Units software. A new Pitch algorithm has been developed for the PCM96 Surround in addition to the Room, Hall, and many additional algorithms for music and post production. The Pitch algorithm was released as a software update for the original PCM96 on Nov 1st,. Lexicon’s new Room algorithm provides a more flexible alternative to convolution type reverbs. Reflection patterns can now be easily selected, scaled and equalized – all while simultaneously passing audio. They can be instantly reversed or combined with a traditional reverb to extend the delay or bring a stronger sense of “liveness” to the space. The PCM96 Surround uses multimode filters at several spots in the audio flow to provide more exact shaping of the reverb while still maintaining the distinctive Lexicon sound. All reverbs have an ‘infinite’ switch that allows the reverb to run forever, a feature used for creating unusual backgrounds and sound effects. With decades of legacy products to leverage, the PCM96 Surround includes over 2200 of the finest collection of factory presets available. At NAB 2009, JBL Professional is introducing the new LSR2300 Series Studio Monitors, delivering professional performance at price points within reach of any broadcast facility. Now shipping, the LSR2300 Series builds on JBL’s 60-year heritage serving the broadcast market . In developing the LSR2300 Series, JBL applied the same stringent Linear Spatial Reference criteria used in the design of the acclaimed LSR6300 and the LSR4300 Series widely used in broadcast control rooms. While most manufacturers take only a single on-axis measurement of the speaker’s performance, JBL’s LSR criteria requires 70 measurements, yielding more than 1,200 times more data. The data enables JBL to engineer a system that produces greater accuracy at the mix position. LSR2300’s large waveguide and elliptical tweeter aperture work in conjunction with a 1” silk-substrate high-frequency transducer to deliver superior imaging and smoother frequency response in the control room. Today’s broadcast applications including production of HD programs demand a monitor system capable of extended low frequency performance and high dynamic range. To address this, JBL engineered new long-excursion low-frequency transducers with high-flux motors and a custom tuned port that work in concert to produce deep accurate low frequency response, previously unavailable at this price point. The LSR2328P 8” model provides low frequency extension to 37Hz; the LSR2325P 5” model to 43Hz, and the LSR2310SP subwoofer provides deep low frequency performance below 28Hz. Each studio monitor in the LSR2300 line produces exceptional sound pressure level (SPL) achieved through the use of high-sensitivity transducers and careful attention paid to the thermal properties of the system. Featured to integrate into professional systems, all models include balanced and unbalanced inputs that allow connection to a wide range of playback sources including professional mixing consoles, computer audio workstations and consumer playback equipment. The LSR2310SP Subwoofer includes a 2-channel bass management system with selectable crossover settings and balanced outputs for integration of the sub into any system. LSR2325P and LSR2328P enclosures include mounting points and are reinforced for safe wall mounting. Transducers in all models are self-shielded to allow use in close proximity to magnetically-sensitive equipment. Soundcraft Studer is now established as one of the world’s leading providers of digital consoles offering a full range of consoles to the theater market, from local and provincial theaters to Broadway/West End venues. The Studer Vista range of consoles is rapidly growing in the theatrical community, with the Vista 5 recently used on large-scale productions in New York on the new productions of West Side Story and Road Show, The Musical. In addition to the already extensive theater specific functionality, Studer has now introduced new Vista software version 4.2, which greatly enhances the sound design and production workflow for cue-based theater productions. The new software provides extended cue list functions including time-based cue recall, MIDI MMC commands for sound FX playback triggers, as well as the introduction of some brand new cue events. Characters in a musical or play can now be given any desired library entry (e.g. a special EQ setting) on a cue by cue basis. This allows easy adjustment, either temporary or permanent, of these library settings, as well as a very straightforward way to replace the settings of an actor with replacement-actor or understudy settings. VCA assigns and muting of channels can now also be entered on a cue by cue basis, without the use of snapshots, for a much easier and comprehensive way of building a show. Also announced with version 4.2 is the Virtual Vista PC-based online and offline editor, so the sound engineer can move around the theatre and make adjustments to level and EQ from all the key audience seating positions, live. This can also function as a console control back-up, working in parallel with the desk. This is also a useful training and demonstration tool, and can be obtained by contacting Studer or a local sales representative. Together with the Vista’s already extensive facilities, which suit theater sound, such as high input/output capacity, the acclaimed Vistonics™ user interface, distributable stagebox systems, control surface configurability, very compact footprint and outstanding sonic performance, the Studer Vista series of consoles are now the perfect choice for world class theaters. AutoTouchPlus, the renowned dynamic automation system that is part of the Studer Vista 7 and Vista 8 consoles, is now also available on the Studer Vista 5. The recent upgrade means that the Vista 5, which is primarily a live production console, can now also be used for post production work, for example between live sessions. All parameters of the console can be automated against timecode, in the most simple and intuitive way, using touch sensitive faders and Vistonics™ encoders. The Vistonics screens elegantly display the current mix pass values along with the previously written mix data from the last mix pass, providing an informative overview provided by no other console on the market. The existing MIDI port is used to read MTC (MIDI Timecode) to which the automation is then slaved. For systems based on linear SMPTE timecode (LTC), an optional LTC to MTC converter is available. The main control panel for AutoTouchPlus, the virtual ACU (automation control unit) is displayed as a window on the Graphical Controller, and in addition, the most important buttons from this panel are provided on the desk surface as well. Existing Vista 5 installations can be upgraded to this functionality from software version 4.2 onwards. AKG is showcasing the DMS 700 digital wireless microphone system at NAB, offering users a state of the art feature set including digital audio encryption, ultra wide tuning range and high channel count in a simple to use 19” chassis. Ideal for live sound reinforcement, conference facilities, courtrooms and houses of worship, the DMS 700 is a revolutionary wireless solution designed for the future as it operates with two frequency bands with each band providing a tuning range of up to 155 MHz of receivers and transmitters giving the user extended flexibility in today’s crowded RF environment. The 1U 19” rack mountable DSR 700 digital receiver features encryption and 155 MHz tuning range ensuring future operation. The internal digital signal processor provides an array of audio features such as a low cut, 3-Band Equalizer, dbx® compressor and dbx limiter. The built in spectrum analyzer displays the frequency range to enhance the operation and control of the radio spectrum. The DSR 700 features Harman HiQnet™ allowing it to be networked with Crown® amps and JBL® speakers and other Harman Products which also allows for easy software updates of all system components. The DHT700 Transmitter has a rugged metal housing, a built-in helical antenna and 50mW RF output power that provides for optimal and reliable transmission. The DHT 700 features AKG’s Top Selling D5 dynamic microphone capsule for lead and backing vocals. The patented Laminate Varimotion™ diaphragm accompanies the supercardiod polar pattern to provide users with higher gain before feedback than typical hand held vocal mics. AKG’s C5 condenser microphone capsule with a cardioid polar pattern is also available. The DPT 700 Bodypack transmitter accepts both microphone and line-level input signals with no need to adjust the input sensitivity. This unique feature guarantees a failure-proof operation and the professional TB3M audio input supports a broad range of headsets, lavalieres and instrument microphones. AKG’s legendary battery life of eight hours of operation from two regular AA size batteries remains consistent in the DPT700 as with other AKG wireless systems. Soundcraft Vi6™ Digital Console On Tour With Modest Mouse, Mixes To Thunder’ous Applause! 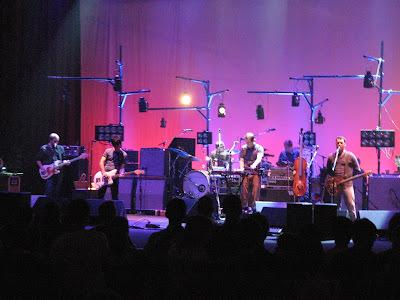 A Soundcraft Vi6™ digital mixing console was recently selected to tour with the famous American alternative and indie rock band Modest Mouse. The United States and Canadian tour required a versatile mixer and the FOH engineer, Phillip J. Harvey, selected the Vi6 for its Vistonics™ II easy-to-use touch-screen user interface and its vast array of capabilities. Tom Hejnicki, Project Manager for Thunder Audio, supplied the console to the Modest Mouse tour and labels the Vi6 as one of the most “analog-user-friendly” consoles available. The Soundcraft Vi6 was developed by Harman companies Soundcraft and Studer and utilizes core processing and user interface technologies, shared with Studer’s Vista Series and OnAir 3000 consoles. It has 96 mono inputs that mix into 35 outputs. The console provides direct outputs on all 96 channels in addition to internal bus routing. For more information on Thunder Audio, please visit www.thunderaudioinc.com. Over the last 12 months Sony has produced a large number of the latest ‘state of the art’, High Definition, digital OB trucks at it's manufacturing facility in Basingstoke, England. These trucks are now going into service around the world with prestige broadcasters such as RTR in Moscow, ATM in Poland, and RTS and TVB92 in the Balkans. In Algeria, EPTV also took delivery of 5 Sony-produced trucks. 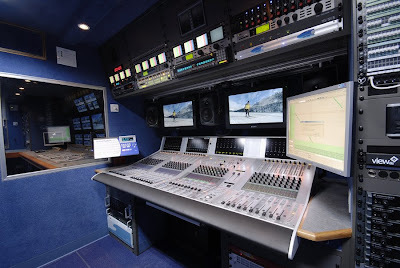 Sony produces multi-camera OB vans with double or triple expanding sides to enable large scale production operations with 20 or more cameras, 8 or more VT and hard disk Video recorders coupled together with a Studer Vista digital surround audio console. Studer and Sony have worked together to provide a fully integrated digital audio path within the OB truck all the way from the microphone on the stage to the final HD recording or embedded satellite link to ensure surround audio of the highest quality, especially true now with the possibility of digital surround sound all the way to the viewer's home. Furthermore, through the use of the integrated audio router built into each Vista console significant savings in both physical hardware (always an issue in OB trucks) and cost can be achieved. This router provides the required multi-channel audio layers married to the main video router without the need for large quantities of "glue boxes" required with traditional standard audio routers. Each Vista audio desk is tailored to meet the exact requirements of each project be it a 32 fader Vista 5 surface through to a 52 fader Vista 8. In each case, the user-configurability of the Vista DSP engine and the ability to change the layout of the control surface faders provides a unique flexibility to work on a wide variety of productions from music to sport. The new model OnAir 2500 Modulo has separate modules for fader bays and master section, along with a rack-mountable mainframe which houses the power supply and host processing. These modules can be recessed into a desktop for a clean installation with all cables integrated within the furniture and the mainframe hidden appropriately. The OnAir 2500 Modulo was introduced in response to demand from the market for a recessable console. In Switzerland, a custom version of the OnAir 2500 console was built into a stunning desk at Radio 105 / Radio Monte Carlo, which changes color when it is on-air and the mics are live whether on-air or off-air. The OnAir 2500 digital all-in-one broadcast console utilizes well-established software technology derived from the highly acclaimed OnAir 3000 console to deliver a new standard in ease of use for radio broadcast. The fader strips include a graphical OLED (Organic LED) screen, which contains a channel label, level and gain reduction meter and parameter readouts, adjustable via a rotary encoder and two push buttons below the display. OLED screens have a much wider viewing angle than LCDs and have much higher definition, so operators can immediately see information much more clearly. The large TFT color touch screen uses Studer’s patented Touch’n’Action system, where only the most important functions have hardware control elements in the channel strip, making the operation of the console very simple and stress-free. The touch screen can also display all the relevant settings and configurations for each channel in addition to the OLED displays. A simple touch on one of the eight small channel pushbuttons, e.g. equalizer, dynamics, AUX send, immediately opens the corresponding page on the main screen, allowing quick and easy adjustment. The most important functions are just one finger stroke away, accessible virtually instantly – vital in a hectic, live on-air situation. The user interface is designed in the similar symbolic language as the highly regarded Vistonics™ system and adjusted in a very flat hierarchy without the use of multi-level menus. The OnAir 2500 Series provides the user with a large number of inputs and outputs in many standard signal formats. In addition to interfaces on XLR and SUB-D outlets (microphone inputs, headphone outputs, Line and AES I/Os), the internal audio system also offers interfaces to digital multi-channel formats such as MADI, ADAT and IEEE 1394 Firewire. Three fixed-frame configurations with 12, 18 and 24 faders are also available, both variants having motorized channel faders available as an option. Large illuminated pushbuttons allow access to the main channel functions, editable via the 12” color TFT touch screen. Integration with Studer’s Call Management System (CMS) is seamless, which allows caller names to be dynamically displayed as fader channel labels, while further integration of radio automation systems is easily accomplished using the Monitora protocol via serial interface or TCP/IP. NORTHRIDGE, California – In a house of worship installation that showcases the easy configuration capabilities of JBL VERTEC® line arrays, Nigerian systems integration firm ET Quake Multimedia recently upgraded the audio system at The Refuge in Abuja, Nigeria, a branch of the Lagos-based House on the Rock Church. UK-based independent consultant Roland Hemming provided system design assistance, relying on the superior performance characteristics of VERTEC® DP Series powered line arrays with JBL DrivePack™ technology to provide the facility with a clear, powerful full-bandwidth sound reinforcement system. Built in 1999, The Refuge is one of 40 House on the Rock worship sites and mission facilities in Nigeria. Pastor GoodHeart Obi C. Ekwueme leads The Refuge, which acts as a springboard for strategic ministry operations in northern Nigeria and beyond. As the evangelical organization has expanded, so has its need for improved, high-performance audio systems for its churches. Complementing the main line array system are eight JBL AC28/95 loudspeakers dispersed throughout the worship space as delay fills. A total of 16 VRX915M stage monitors are available to serve the venue’s performance-based worship services. Crown MA12000i and MA5000i amplifiers power the loudspeaker elements not equipped with JBL DrivePacks, while the system also features a Soundcraft MH3 mixing console at the front of house position. Signal processing is achieved with dbx DriveRack 4800 Loudspeaker Management Systems, and a variety of AKG microphones round out the new system installation. SALT LAKE CITY, Utah — In a fixed installation that raises the bar for audio signal processing and distribution, The Kimmel Center’s Verizon Hall in Philadelphia, one of the premier performing arts centers on the East Coast, commissioned sound integration firm Acme Professional to install a BSS Audio Soundweb London system. The aging audio signal processing and distribution system in Verizon Hall was replaced with a BSS Audio Soundweb London system as a means to significantly improve audio performance for a modest cost. “We wanted to deploy a system that would significantly improve audio quality in the hall, and provide a more robust network,” remarked Pete Cosmos, president of Acme Professional. The new BSS Audio system consists of three Soundweb London BLU-80 and two BLU-32 devices, and one BLU-10 touch-screen programmable controller. The house audio system consists of multiple house mix drive-line inputs and (32) output stems to drive the installed loudspeaker systems and many fill loudspeakers located throughout the four tiers of seating areas. 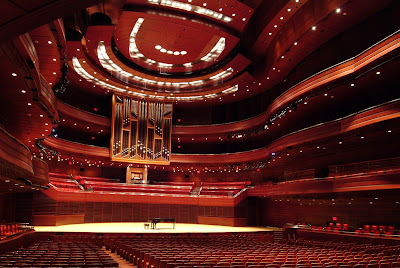 Working with David Conner, director of house audio at the Kimmel Center, Acme developed a design that allowed a seamless switchover to the new Soundweb London system. “The upgrade to Soundweb London exceeded our expectations and is highly recommended where multiple, aligned speaker systems are required in a critical audio environment. A big improvement in fidelity was achieved at a modest cost,” stated Conner. Flexibility was another primary reason to choose Soundweb London. A BLU-10 programmable controller provides many modes of audio system operation required for the various types of events produced by the Kimmel Center. “Since the hall is used for unamplified major orchestral concerts, the motorized loudspeaker cluster can disappear, raising up into the tech attic via motorized doors located in the main acoustical canopy over the stage. A concealed announcement system is still required for such events, which involves complete re-timing of all concealed loudspeakers. This was easily achieved with the Soundweb London system and the BLU-10 touch-screen controller,” added Cosmos. “Even the timing and phase improvements of the new processing and audio network were immediately noticeable,” added Conner. “With announcements, musicians in the Philadelphia Orchestra commented they thought a completely new audio system was installed, even while sitting on the stage behind the systems,” stated Cosmos. “The new Soundweb London devices provide us a new degree of flexibility and reliability in what is a demanding performance environment,” said David Thiele, vice president at the Kimmel Center. Demonstrating the ease of installation and precision coverage of JBL VERTEC® line arrays, IPR Services of Hacienda Heights, California, recently completed the design and installation of the audio system at the new critically-acclaimed Club Nokia performance venue in Los Angeles. Club Nokia is part of AEG’s $2.5 billion LA Live complex, located adjacent to the Staples Center in downtown Los Angeles. The venue was designed to showcase emerging music acts, established artists and cultural productions while also providing an appropriate function space for corporate events and private parties. Operated by Goldenvoice, AEG Live’s southern California-based regional division, Club Nokia opened on November 9, 2008, with Beck and Jenny Lewis performing for a capacity crowd of 2,300 people. The primary installed sound reinforcement system features two columns in a left-right configuration, each containing 10 JBL VERTEC VT4888DP-AN midsize powered line array elements equipped with JBL DrivePack™ technology and JBL’s new V4 DSP presets. The speaker columns each include four VT4882DP-AN midsize arrayable subwoofers, integrated into the center of the full-range arrays to separate floor-coverage and balcony-coverage array elements. For added low-frequency impact, JBL ASB6128 2x18” subwoofers are hidden beneath the stage. Six VRX932LA constant-curvature compact array speakers provide under-balcony delay, with AM6212 speakers providing additional localized area coverage. Acoustic Dimensions recently completed the design and commissioning of a JBL VERTEC® line array system at a new Prestonwood Baptist Church location in Prosper, Texas. Designed to accommodate a variety of musical performers and video presentations, Prestonwood Baptist Church North seats 1,500 and complements the main Prestonwood Baptist worship facility, located 17 miles to the south in Plano. Acoustic Dimensions designed a left-right arrangement of JBL VERTEC VT4887A compact bi-amplified 3-way high directivity line array elements, designed to cover 80 percent of the center seating section. Featuring JBL’s advanced technology Differential Drive® loudspeaker components, each VT4887A includes JBL’s patented Radiation Boundary Integrator® (RBI) and a pair of annular ring radiators for smooth adjacent-bandpass integration and extended high frequency performance. “There is a noticeable clarity in the VT4887A loudspeakers, and the high-frequency response is really nice,” Burdette noted. Additionally, JBL PD (Precision Directivity™) Series loudspeakers were installed outside each of the line arrays in the wide listening space, to address outer seating area coverage. For more information on Acoustic Dimensions, please visit www.acousticdimensions.com or call 972.239.1505. NORTHRIDGE, California – Harman Pro today announced that their Danish distribution will now be with a new company, set up by their long-serving Norwegian resellers, LydRommet A/S. The newly-formed operation commenced trading on April 1st and will take up occupancy of a new 1200 sq. meter facility in Arhus effective from May 1st. LydRommet Denmark is majority-owned by LydRommet (under the proprietorship of Joachim Wille) and Flemming Bjerke, the company’s high-profile executive director. The move follows the demise of the previous Harman Pro distributor in Denmark. Seasoned industry veterans have been incorporated into the new staff set up, including Mogens Nørgaard, who will handle pro sales, and Helle Scherfeldt, who will head installation sales. Flemming Bjerke, who relocates from the company’s Oslo base will be responsible for business and pro audio is key to the operation. “The dream of expanding into a neighboring territory had always been an ambition if not an active strategy of mine,” said Bjerke. However, there were issues that needed to be addressed before the appointment was confirmed, notably that Norway is not a member of the European Union. “LydRommet setting up a brand new operation solved this problem. However it was, at the same time, appealing to us,” said Robbins. Bjerke also noted the trading differentials between the two countries, stating that Denmark’s closer proximity to Europe meant that the market needed to be much more price competitive. He believes Denmark will offer increased high-end installation opportunities, which will enable them to create greater exposure for the Harman Pro portfolio. Lydrommet A/S will start shipping products from all seven Harman Pro brands (excluding Studer) in late April. For guitarist Jennifer Batten, there is no stage too large. A veteran of three world tours with Michael Jackson and two with Jeff Beck, Batten has performed with music’s biggest stars. She has been in bands playing everything from straight rock, metal, fusion, to funk. Add on three solo albums to her credit and it is easy to see why Batten is known as one of the best in the business. While the music has certainly changed over the years, one constant since 1991 has been Batten’s use of DigiTech equipment. Batten shows no signs of slowing down with a full schedule for 2009; she is hitting the road in promotion of her newest critically acclaimed album, and of course will continue to rock out with the help of DigiTech. To learn more about Jennifer Batten you can visit her website http://www.batten.com/. In a star-studded evening showcasing some of the most accomplished artists in rock and roll history, Red Hook, New York-based Firehouse Productions provided a VERTEC® line array system with Crown I-Tech HD power amplification for live sound reinforcement at the Rock and Roll Hall of Fame Induction Ceremony on Saturday, April 4. This year’s event took place in Cleveland’s Public Auditorium and commemorated the inductions of artists such as Jeff Beck, Little Anthony & The Imperials, Bobby Womack, Run DMC and Metallica. The 2009 Rock and Roll Hall of Fame Ceremony was broadcast live on the Fuse network. In addition to performances by several of the inductees, the event included high-profile rock industry presenters like Jimmy Page, Ron Wood, Flea and Smokey Robinson. 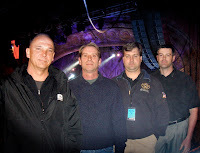 With top-tier mixing engineers on hand like Tony Blanc, Dan Gerhard, ‘Big Mick’ Hughes (Metallica) and Greg Bess (Jeff Beck), the Firehouse audio team needed to provide a system capable of delivering high-fidelity audio with predictable coverage characteristics and maximum output power capabilities, without compromise. For the event, Firehouse deployed a PA system that consisted of 16 VERTEC VT4889 large-format line array elements and 12 VT4880A ultra long excursion arrayable subwoofers per side, with five additional VT4889’s comprising a center cluster. Firehouse set up an additional eight VT4887 compact line array elements per side for off-stage coverage, four VT4887’s for front fill, and four floor-located VT4880 subwoofers. Firehouse’s new Crown I-Tech HD amplifiers powered the system, which also relied on Crown and JBL’s new V4 DSP presets, developed specifically to take advantage of Crown’s new LevelMAX™ multi-stage limiting in the HD amps. 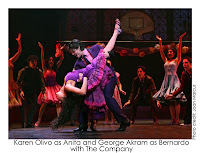 For more information on Firehouse Productions, please visit www.firehouseproductions.com or call 845-758-9898. V&P Sound PVT. Ltd. recently deployed a pair of Soundcraft MH2 and MH3 analog consoles at the annual Rock Ethos music festival in Bangalore, India on March 14th-15th. The MH’s delivered an outstanding sonic performance to the outdoor venue as well as tremendous versatility to the sound engineers. The engineers of V&P Sound have mixed several events exclusively on the digital Soundcraft Vi6™, however this year’s Rock Ethos festival consisted of many independent engineers who did not have previous experience of mixing on the Vi6 so Director of V&P Sound, Vishnu deployed the more familiar MH2 and MH3 analog consoles for Rock Ethos 2009. The MH2 performed beautifully at the monitor position and the outstanding performance at Rock Ethos reinforced the analog consoles capabilities of mixing live sound events. “The aux sends have plenty of output to drive the monitors to the proper levels and above all, the MH2 has the amazing classic British EQ,” said Mallesh, Monitor Engineer, V&P Sound. The highly anticipated production of ‘West Side Story’ recently opened at the Palace Theatre on Broadway with a Studer Vista 5 digital console providing outstanding audio quality and versatility to the production. The iconic production makes its return to Broadway after a 29-year absence and sound designer Dan Moses Schreier and his associates selected the Vista 5 for its extensive capabilities and outstanding audio quality. Dan Moses Schreier has been using Studer products for many years and he has also been the sound designer for Broadway productions such as ‘Julius Caesar’ starring Denzel Washington as well as ‘The Tempest’ starring Patrick Stewart. Schreier initially intended mixing ‘West Side Story’ on an analog desk, however he immediately chose the Vista 5 after interacting with the board’s capabilities. “The Vista 5 handles the demands of the show with great transparency and ease. 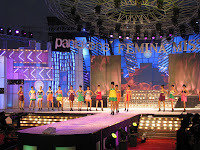 The compact size of the console and the clarity of its layout made the size of the show extremely manageable. But ultimately, it comes down to how the show sounds and this production of ‘West Side Story’ sounds fantastic,” concludes Schreier. The enthusiasm for the Vista shown by Schreier and others has prompted Studer to develop further theater-specific features to help with the production workflow. A new software version for Vista, V4.2, was launched at the Pro Light & Sound show in Frankfurt and includes facilities for enhanced cue lists, character/actor libraries and events, VCA/Mute assignments and dynamic automation. Furthermore, Virtual Vista, a PC-based offline/online editor is now available which allows designers to check and setup the sound at any point within a venue, and even control the desk in parallel with the surface. Visit www.studer.ch for more information. Soundcraft has taken the already successful MPM and MFX Series of mixers and given them both hardware and audio performance upgrades. The MFXi has integral Lexicon effects, something that only Soundcraft are able to offer. Using the same AudioDNA® processor featured in many of the Digitech® and Lexicon® outboard products including the­­ highly respected Lexicon MX400, which provides the finest quality effects ever found in a console at this price level. The mixers boast 32 effects presets, a user settings store function, 3 parameter controls and a tap tempo mode. These effects have been optimized for integration within the console to provide the lowest noise floor and to deliver the best sound. Both the MFXi and MPMi provide two group busses, three aux sends, (two auxes and one FX send on the MFXi model) and two stereo input channels. The MPMi is available with 12 or 20 mic inputs, giving a maximum mix input capacity of 18 or 26 inputs, while the MFXi is offered in 3 frame-sizes with 8, 12 or 20 mic inputs, these having a mix capacity of 16, 20 or 28 inputs..
Soundcraft has taken the hardware development opportunity to fine-tune the audio design and to further enhance the audio performance of the mixers, further improving key specifications including noise and distortion performance. What is unique about both new models, and a feature that will be appreciated by many, is the provision of a slot on the chassis which accepts a standard Kensington® laptop computer cable lock, meaning that your mixer can be secured in a venue, installation or retail display. The combination of a wide range of features and world leading Lexicon effects, and smallest footprint of any comparable console, makes the Soundcraft MPMi and MFXi mixers the perfect solution for many venues including theatres, small music venues, restaurants and houses of worship. The 12-channel versions are now supplied with rack mount ears included, while these are available as an option for the 8 and 20 channel MFXi model. Initially announced at last year’s Pro Light & Sound, the partnership between Soundcraft, Studer and Optocore is bearing rich fruit as the companies develop further features for the interface between Soundcraft and Studer consoles and the Optocore fibre network. Last year, Optocore and Soundcraft Studer co-developed the DD2FE network MADI interface that allowed Studer Vista and Soundcraft Vi Series consoles to transmit up to 128 input and 128 output channels of audio over an Optocore network. The ability to remotely control stagebox gains over the Optocore fibre network is a major advantage for users, giving that extra degree of flexibility and gain control over the relevant parts of an installed system, particularly in Theatres. Demonstrating the outstanding performance value and versatility of the C 214 microphone, AKG today launched the C 214 Stereo Set today at NAMM. The rugged construction of the C 214 delivers a highly detailed and accurate sound not only in the studio, but on the road as well. The introduction of the Stereo Set provides users with a complete solution that delivers outstanding performance and excellent quality from a pair of C 214’s. Commenting on the C 214 is Grammy Award Nominee, Hal Winer, owner of BiCoastal Music. “I've been using the C 214’s regularly and I absolutely love them! I've used them for a wide range of recording applications and I find them especially great for jazz kick drum. It's been very difficult to find a microphone to represent that small and tight sound that a jazz kick has and the C 214 is absolutely the best microphone I’ve ever used in that application. Piano, voice and guitar amp applications have been equally successful." Hal Winer has produced records for world-renowned artists including Rob Thomas, Björk, Joe Lynn Turner, Tony Levin, John Patitucci and Mike Stern. "They have become my ‘go to’ microphone for almost everything and I keep them mounted on stands for regular use," said Winer. Accompanying a pair of C 214’s, the Stereo Set includes spider-type shock mounts, stand adapters, windscreens, and a stereo pair certificate for authenticity.